I have been under the weather for a while. Well, the effect of seasonal changes! 🙁 Feeling much better now and am back after a much needed break. Am blogging a favorite recipe today. It includes my favorite greens and vegetable – methi and carrot. Love the refreshing colors and flavor combination of carrot and fenugreek in a pachadi avatar. Clean, simple and delicious. 1 Heat half a tbsp of oil in a non-stick pan. Add the garlic, cumin, split gram dal, bengal gram, red chillis and mustard seeds and stir on medium heat till the dals turn slightly red and a nice aroma emanates. Immediately remove the roasted spices, and keep aside. 2 In the same pan, add a tsp of oil if required, add the slit green chilli and grated carrot and on medium flame saute till the rawness of carrot disappears (approx 3-4 mts). Remove and keep aside. 3 In the same pan, add another tsp of oil and saute the methi leaves for 3 mts. Remove from heat and cool. 4 Grind the roasted dal mixture first, followed by the sauteed carrot and methi, jaggery along with salt, to a coarse paste without adding any water. 5 Heat oil in a pan for the tempering, add the mustard seeds, let them pop and add the split gram dal and curry leaves and fry till the dal turns red. Add this seasoning along with lemon juice to the ground pachadi. Serve with hot steamed rice. Yes, it wets my appetite… wanna try tonight for sure! Wow rare combi of carrots nd methi…will try it out for sure. Love your recipes. Did u ever try using fenugreek seeds instead of its leaves? No, I have not tried with methi seeds. The fresh methi leaves sauteed in oil yields a far superior flavor. No doubt about its taste Sailu….. 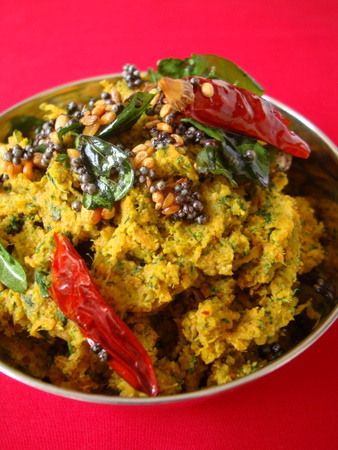 Adding fenugreek leaves to most of the dishes makes them simple and flavourful as you said. aftr a lng tym seeing ur updates…..vry rare recipie…..
i trid dis n it cam out well…. Glad to see you back in action. Please take care of yourself. sailu, take care. Missed your recipes all these days. 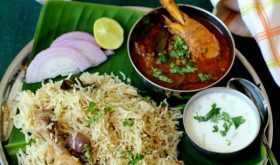 nice recipe Sailu garu, very nice combination, I will surely try it out. wow, very unusual combo, but looks superb, love the pic. I am glad to see you back. Hope you are feeling better now. Pachadi sounds delicious. Glad you are back on track Sailu. I have never tried this combination, will give it a try. Looks Colorful and delicious. will try this one …. Thanks a lot Mrs. Sailu. Chanced upon this website and fell for it. Am a great fan of gutthi vankaya Koora.The pic looks mouth watering. Shall def try it. How did you grind these half cooked vegetables? Did you add any water while grinding? If we do not grind can this work as a side dish? Does it taste different on grinding? There is no need to add water. Just sprinkle few drops of water. 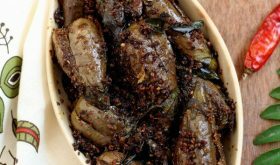 Yes, it can work as a side dish with a dash of jaggery and lemon juice. I am a fan of our blog and i have learnt much of cooking from u.I am subscriber of ur blog.I really missed ur receipes and was happy to c ur latest one in my mail.Hope ur keeping well.Let me tell u all the greens palya i do is a great hit in my house.At the age of 50 I have become a great cook because of u.Thanks and keep up to educate people in kitchen like us. 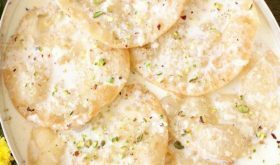 Hi sailu lovely recipe. There is an award for u in my blog come and recieve that. So happy to see you are back. Hope all is well and take good care of your health. This recipe looks delicious – am making it tonight. Your recipes make our family dinner a hit as I am not such a great cook at all. I’ve been following your blog for a few years now. 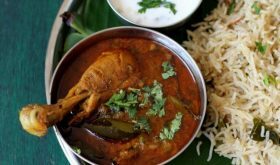 Being settled in Chennai we do not cook or try out many Andhra recipes though we’d love to. Your recipes have instilled a desire to try them out. Now, my parents and friends enjoy eating what i cook 🙂 The carrot patchadi was a hit! Not only cooking, after reading your post on kid’s traditional clothing, i was out to try wearing traditional clothes. I hunted and designed a pavada dhavani for diwali two years back and i was too excited to get such compliments (considering that i’m tomboyish). WOW..one more great recipe from you..I just admire your cooking which is always unique, interesting and delicious..Glad you are back! I have been following your blog quiet a long time,and have tried many of your recipes and all of them came out very well.Since some days i have been seeing some of your recipes being published in sakshi news paper.Even the above mentioned recipe is published in sakshi on 04-03-2011 and the method of preparation is same.The ultimate credit is not given to you I guess.Please take care. Thanks for informing me, Kiranmaye. dear sailu, thank you for a lovely recipe; am going to try it soon. take care of your health. cheers and love. I miss your blogging, but glad to see the updates. 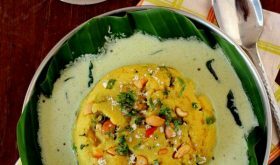 Can this dish be prepared with frozen methi? we cannot find fresh methi all the time here. Could you kindly post some new desserts over the next few months? Sailu garu I tried it out, and came out really well!, thanks for posting this innovative recipe, only thing is I had less methi, added fried curry leaves also came out well. This is such an excellent pachadi!! Did you follow up on the Sakshi newspaper bit that a kind reader shared here? Upsetting! I have and they have replied that the error will not be repeated. thank you for providing this combination. I used a mini mixer grinder and coarsely ground it. If you do not have one, use a mortar and pestle and crush. If you do not have a mortar and pestle, just mix all the ingredients and lightly try to mash with the back of a spoon and serve. wow I have never heard of pachadi with carrot looks awesome must try it. OMG this is the best combination ever!! Made this for dinner last night and we polished off the entire thing!! Hi Sailu, I tried this methi & carrot chutney. It came out very well. We polished off the entire chutney with in no time. Thanks for the wonderful recipe. Grind the red chilis as called for in the recipe. 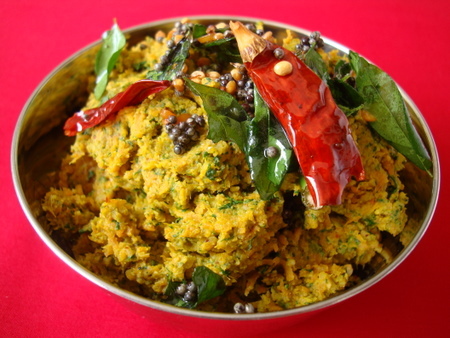 I have also added red chilis in the tempering to a bit of color to the image of pachadi. Can we store the leftovers in fridge?Will it taste good for 1-2 days?